Innovation Award, October 2016, Overall Winner, Projects over £2.5M For our project at Thames Tideway Tunnels, Abbey Mills,Shaft F, for our Client MVB Joint Venture, in the category: Projects over £2.5M that exemplify innovation and people talent in theconcrete sector. Modebest are committed to maintaining the highest standards of project construction and delivery across our sectors of health, safety, quality, environment, low carbon and sustainable construction. Our standards are assured as a core value of our business. Our standards are governed by our robust systems and procedures. 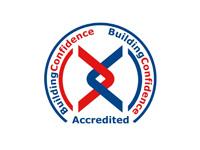 We conduct regular internal audits in order to ensure that our departments, personnel and supply chain are compliant. 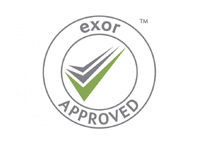 In addition our systems and procedures are regularly audited by our external Certification Bodies. Health and safety is at the core of our business. We demand that we work safely without compromise. We prioritise the wellbeing of our people and we are committed to sending them home safe and sound every day by nurturing a behavioural culture that lives and breathes health and safety. This is at the heart of everything that we do which we call ‘working in SAFEMODE’. The Directors, management, staff and personnel at Modebest endorse safe working practices, working procedures and safe places of work. We firmly believe that health and safety is first and foremost in every working activity that we do and we have a very positive attitude to occupational health and safety management. 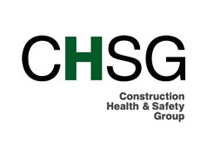 Our vision is to be an industry leading performer in occupational health and safety management appertaining to our specialist field of construction activity and to be recognised by our people, clients and peers as having an enviable safety record and a working safely behavioural culture. 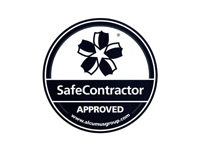 We provide a safe and healthy working environment by ensuring that all personnel are suitably informed, trained and instructed to carry out their work in a safe, healthy and environmentally friendly manner both to themselves, their surroundings and any other individuals who may be affected. We fully assess the risks of our activities and mitigate to reduce impact on quality, health, safety and the environment. We are committed to keeping our RIDDOR accident frequency rate close to zero. It is incumbent on us to always create a safe place of work, engage safe systems of work and utilise safe plant and equipment. We recognise that any accident or incident is one too many and we continually strive to eliminate the possibility of any dangerous occurrence. We have our own in-house health & safety department with a full time manager, assistant and staff. We organise external and internal training courses accredited by the Institute of Occupational Safety and Health (IOSH). We carry out NVQ assessments, suitability assessments for Cskills awards and we actively encourage all of our people to develop and enhance their careers by additional training. 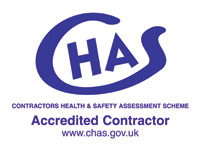 We carry out in-house occupational health checks and all of our plant operators have full medical health checks. We carry out random drugs and alcohol testing. First aid training is offered to our personnel and all site supervisors have 3 day first aid training. We implement a rigorous programme of health and safety inspections with regular internal audits and external audits by our Certifying Bodies. Our Health and Safety department maintain an up to date training matrix schedule. All of our site personnel are CSCS/CPCS qualified. Our site supervisors have CITB/CSkills SSSTS (site supervisors safety training scheme) qualifications as well as 3 day first aid training and our contracts managers have an SMSTS (site managers safety training scheme) qualification. We implement a robust Health & Safety Policy and an integrated QHS&E Management System which meet and exceed all legislative and regulatory requirements. We are Occupational Health and Safety Management Standard Registered to BS OHSAS 18001:2007, assured by ISOQAR/UKAS. 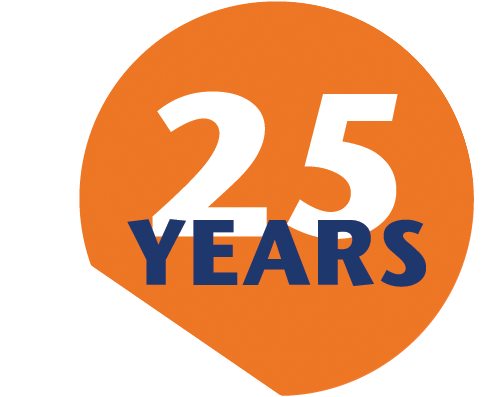 We are proud of our track record in occupational health and safety management. Modebest is committed to the highest standards of Quality as part of our specialist project works delivery. We are dedicated to providing a high quality service and product. We operate and comply with our integrated QH&SE Management System which incorporates our Quality Management System. We listen to our clients, continually reviewing our processes of service and product realisation in line with our client’s needs, thereby maximising the efficiency of our Integrated Management System. We have our own in-house quality assurance department with a full time manager, assistant and staff. Our quality assurance manager is required to maintain the control and issue of our QH&SE Management System document and report to the directors on the implementation of its requirements. Our management, staff and personnel have a responsibility to comply, review, improve and measure the quality management system on an ongoing basis. Our success is based on the quality and commitment of our motivated experienced people. In order to deliver a quality service and product to our client we rely on our direct in-house resources and our supply chain. Our direct management and labour force is well trained, loyal, motivated and experienced for their roles, many of whom have been with us in excess of fifteen years. 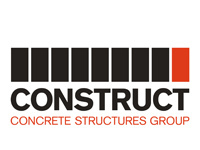 We have our own in-house, technically advanced modern tower cranes, concrete pumps, tipper/grab lorries, plant and falsework/formwork equipment. We have a robust supply chain for material supply and delivery. We have strategic alliances with key suppliers for all of our major material requirements. We are innovative and we constantly strive to find new ways of improving our quality service and product delivery. Our site team will develop a Project Quality Plan for each project, a key part of which is an Inspection and Test Plan. The ITP identifies and records the inspection and testing regime for all of the project works. Details recorded will include the type of record to be generated, the issuing party, the form in which it will be maintained and any third party involved in the checking process. This document will be used to record the quality standard achieved on the project. Modebest recognise their responsibilities towards protecting and preserving the environment. 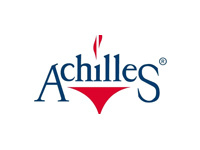 We actively encourage all of our people and supply chain to adopt a similar approach. We are aware of the impact and understand the implications that noise, air, water and waste pollution can have on the environment. We will comply with all legal requirements and in the absence of specific legislation we will undertake activities in a manner consistent with industry best practice in order to meet the highest standards through the implementation of our Environmental Sustainability Policy which forms part of our integrated QHS&E Management System. Modebest recognise that climate change is an ongoing serious global problem that affects our industry and us all. We are fully committed to implementing industry best practice solutions to this global challenge. Due to the nature of construction, we recognise that our own specialist operations have an impact on the sustainable environment. Consequently we are committed to improving our own environment performance and we will endeavour to minimise our carbon footprint by utilising low carbon and sustainable construction best practice. Complying with our client’s project BREEAM requirements and assisting our client in achieving a BREEAM rated ‘Excellent’ Building. We are committed to the Government’s Construction 2025 Strategy for the industry, which incorporates the objectives and forward thinking with respect to low carbon and sustainable construction. We embrace the earlier reform construction initiatives instigated by the Latham, Egan and Wolstenholme reports. We aim to deliver a fully incorporated strategic approach to enable the maximisation of low carbon and sustainable construction to all aspects of our specialised field of operations and we are committed to protecting the future interests of all stakeholders in the projects that we construct in the built environment. We aim to deliver the promise that we offer, to the satisfaction of our client, in order to construct a better, low carbon and sustainable product. We are committed to meeting the environmental sustainability targets as set out in the Paris Climate Change Agreement and other legislation. We are committed to implementing best practice as defined in the strategy for low carbon and sustainable construction for waste management, consumption of natural resources, carbon footprint reductions, energy savings, technological advances and BREEAM compliance. We are committed to increasing profitability by using resources more efficiently and by securing opportunities offered by sustainable products or methods of working. We have internal audits of our Environmental Sustainability Management System and external audits by our Certifying Bodies. Modebest is highly focussed on staff retention and career development. We are responsible for ensuring that all of our staff and personnel are suitably qualified and experienced to carry out their roles and responsibilities. Our training policy commits us to providing this training from qualified instructors. We are committed to increasing capability in our workforce and creating a safer industry. We are committed to a process of continuous measurable training for the development of our personnel as we recognise that the most important and valuable resource is our people. We carry out in-house occupational health checks and all of our plant operators have full medical checks. We carry out random drugs and alcohol testing. We will invest in the training of our people in order to ensure that they possess the skills, qualifications and experience to deliver a better product to match our client’s needs. Our training department maintain an up to date training matrix schedule. All of our site personnel are CSCS/CPCS qualified. 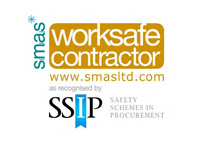 Our site supervisors have CITB/CSkills SSSTS (site supervisors safety training scheme) qualifications and our contracts and project managers have an SMSTS (site managers safety training scheme) qualification. We organise external and internal training courses and we carry out NVQ assessments and suitability assessments for Cskills awards. We actively encourage all of our people to develop and enhance their careers by additional training and we also encourage them to have academic and vocational qualifications where appropriate. We keep abreast of new working practices and legislation and we will train our people accordingly. 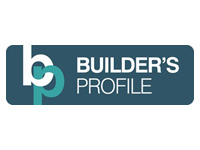 Online pre-induction module – a web based portal hosts an online bespoke company induction module within the system allowing new workers to be pre-inducted off-site. Time and attendance recording – our system allows for accurate recording of individual workers and sub-contractors arriving and leaving site in a given timeframe. This is real time data as the system is connected via 3G. Real time monitoring – our system is connected via 3G which allows site management and head office to access in real time. Incident capture & recording – a touch screen tablet which is based on site supporting our system. This has the ability to record incidents and generate reports. Centralised management reporting and asset management – cloud based software allows for the storing of data which can be used to generate reports. Delivery management – an online booking system allows our site management to schedule traffic and deliveries to site for increased site efficiency, ensuring delivery tickets are scanned/stored and accessing environmental data for client project specific BREEAM reporting. Health & Safety compliance – our workforce will have the requisite training and qualifications before entering our site. 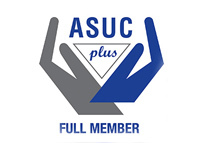 Our system will be set up to ensure that only workers who are appropriately trained, qualified and have completed an induction can gain access to our site. 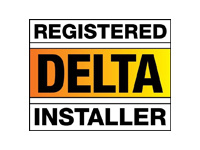 Our system supports and recognises CSCS and CSPS cards which allows workers to move easily between sites once they are registered. Biographic data is automatically gathered through CSCS/CSPS cards thereby eliminating the need for double entry. The system allows us to have automatic restrictions on workers who have contravened our specific site regulations. 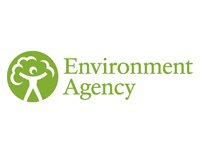 Environmental impact rating – our system allows us to generate a score and report on the level of CO2 emissions data for each site and its workforce. Our system can accurately record environmental impact data and be customised to automatically generate a BREEAM score and reports. 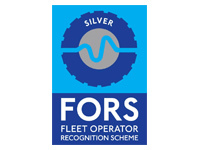 In association with CITB - 2015 Most improved training record for large turnover companies. Health and Safety monthly award for control of the slipform rig and diligence of the crew – March 2016 Health and Safety monthly award in recognition of our operatives good attitude towards health & safety – July 2016. Perfect Delivery Certificate in recognition of our contribution to the success of the project. New Business Partner of the year award 2013 Health and Safety. 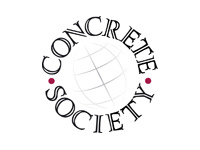 For our project at Thames Tideway Tunnels, Abbey Mills, Shaft F, for our Client MVB Joint Venture, in the category: Projects over £2.5M that exemplify innovation and people talent in the concrete sector. 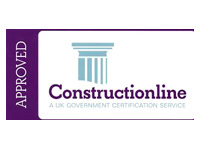 We received a ConsiderateConstructors Performance beyondcompliance certificate for ourproject performance. We achievedan average score of ‘Excellent’. Site Health and Safety award forNovember 2016. Modebest are Occupational Health and Safety Management Standard certified to BS OHSAS 18001:2007, assured by ISOQAR/UKAS. 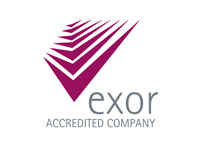 We have an integrated QH&SE Management System Registered to ISO 9001:2008; ISO 14001:2004 and BS OHSAS 18001:2007. 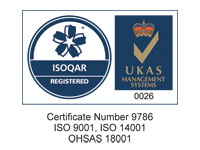 Modebest are Quality Management System certified to ISO 9001:2008, assured by ISOQAR/UKAS. We have an integrated QH&SE Management System Registered to ISO 9001:2008; ISO 14001:2004 and BS OHSAS 18001:2007. Modebest implement an Environmental Sustainability Management System which is certified to ISO 14001:2004, assured by ISOQAR/UKAS. We have an integrated QH&SE Management System Registered to ISO 9001:2008; ISO 14001:2004 and BS OHSAS 18001:2007.